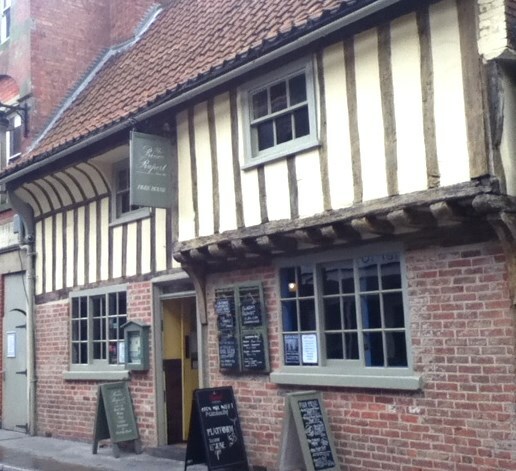 With a long list of pubs to visit, open minds and empty stomachs we headed on the train over to Newark upon Trent to see what this fine town had to offer to a thirsty and marginally discerning pair of real ale drinkers. Today the hunt for food was a secondary occupation and was taking a back seat. 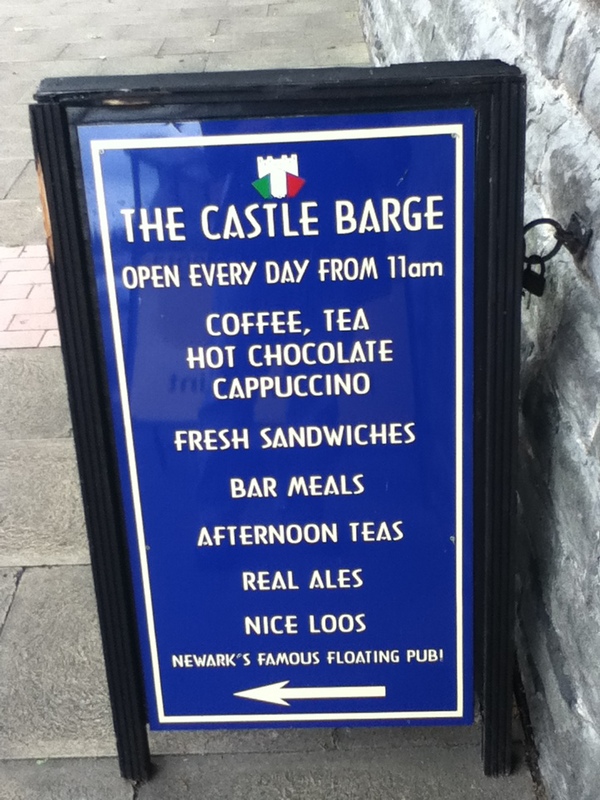 To assist on this trip we did have a list but also made good use of a map we picked up in the first pub called the Newark Pub Map and a lot of local advice. So without further ado this is where the bimble took us. This pub is just what it says that it is, a tiny one room pub just off the Main Road. 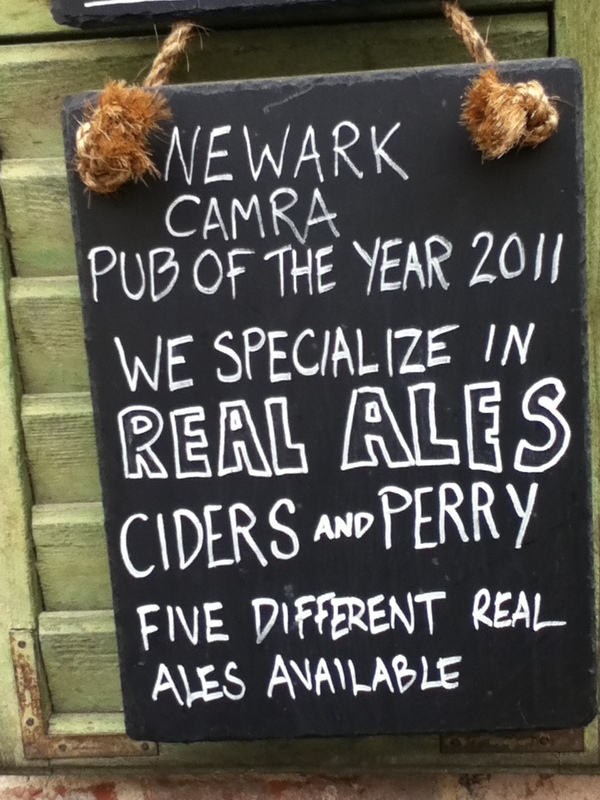 Even though I am yet to describe our visits to the rest of the pubs on the list in Newark I have to declare that this was our favourite pub on the trail. Inside it feels like home, well at least it does if you have converted your front room into a pub. 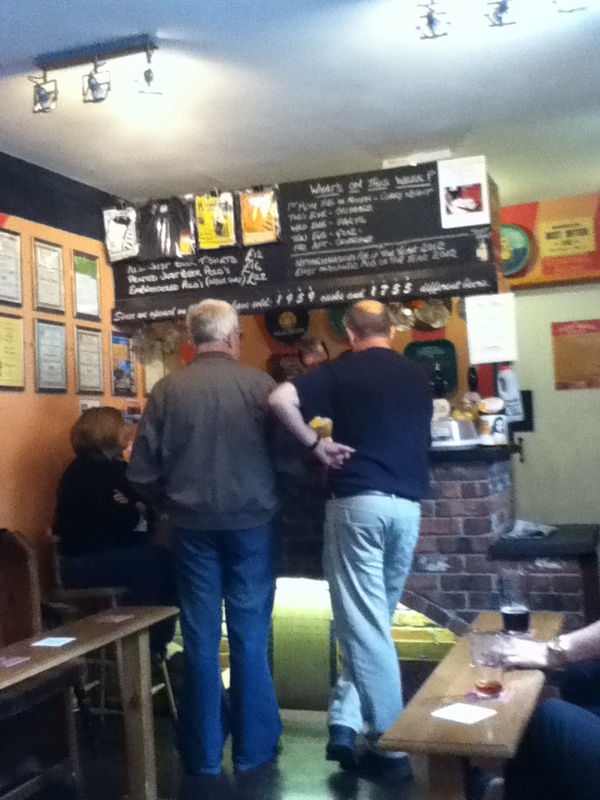 There is a small bar at one end with about 6 pumps offering real ale, craft beers, and a cider. One feature I particularly liked was a running total above the bar of the number of barrels drunk, and the number of different beers that had been featured in the pub. It was quite a cool moment when a barrel was changed and the barman updated the totals. The whole pub paused just for a moment and there was almost a swell of pride in the room as we each knew that in some small or possibly large way we had contributed to that advancement of that count. It was so good in here that we decided to stay for a while and partake of several of the fine beers that they had on offer. The crowd was pretty friendly and we chatted about our planned itinerary around Newark and received the general wisdom of the bar regarding our plans. Some of that perceived wisdom was to turn out to be invaluable later in the day. 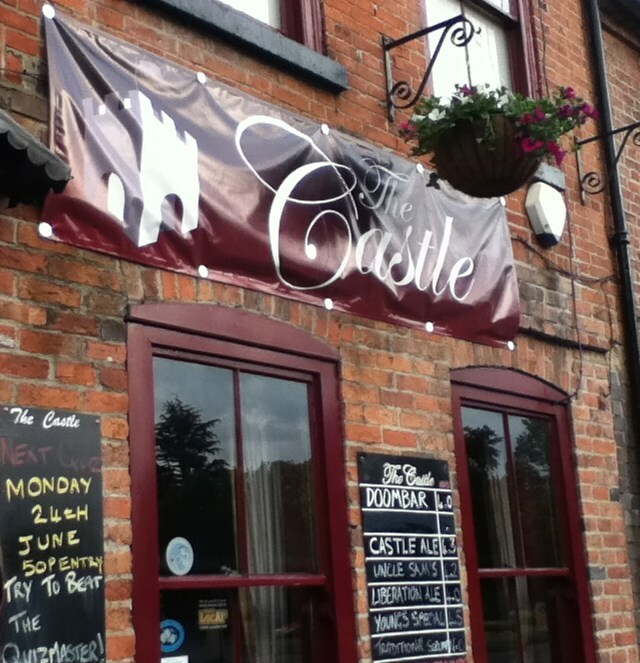 If we had not had the route map and the advice of our companions from the Just Beer Micropub we might have missed this pub. Set in amongst a row of shops on Stodman Street it appears to be small from the outside but that is deceptive as once inside you have a number of reasonably sized bar areas, a large room upstairs, and a nice glass covered patio area inside too where we ended up sitting. I think this was called the ‘Orangerie” The walls were covered with a whole array of enamel metal advertising signs which gave it a little bit of a vintage feel. This kind of contrasted with the other rooms which were a bit duller and themed historically mostly to do with the English Civil war (won by the most polite side hence the name) Glad we sat in the Orangerie! There was a quite decent menu and if we had been in the market for a larger more substantial meal we may well have dined here. 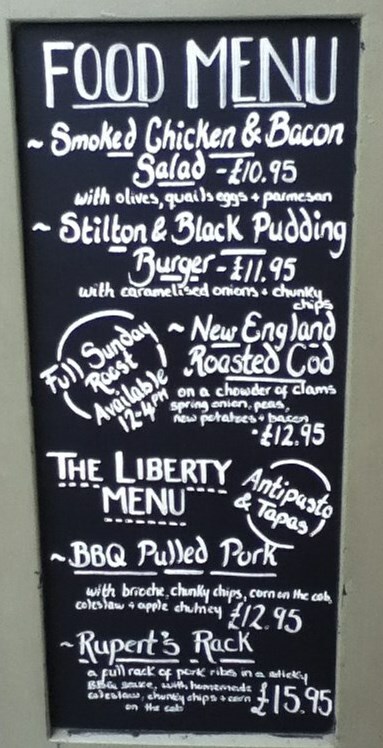 I almost wavered and got close to ordering the BBQ Pulled Pork which was advertised on the chalk board as coming with “brioche, chunky chips, corn on the cob, coleslaw, and apple chutney for £12.95”. 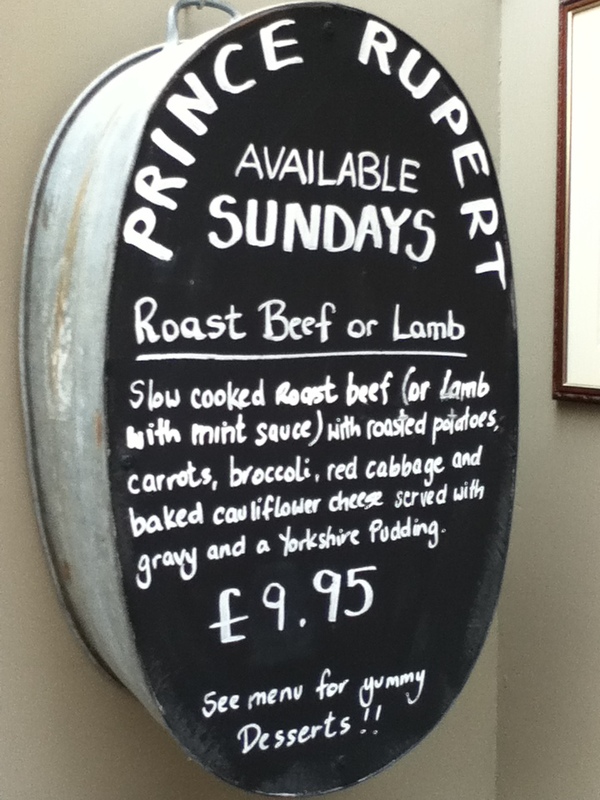 The Sunday Roasts at £9.95 looked pretty tempting too for a possible return visit just for some food one lazy Sunday afternoon. Whilst there supping our pints we witnessed the entry of several large plates of food into the room including a large BBQ platter of some description. I think that if we had even attempted to eat one of those, then our exploration of Newark may well have ended at this point and we may have just had to retire to the sofa for a long afternoon nap. The Pheasantry Pale Ale comes from the Pheasantry Brewery , a micro brewery in East Markham in Nottinghamshire. This beer is described on their website as “…a pale coloured smooth tasting beer. The blend of hops added during the brewing process gives this 4% ABV ale floral and citrusy notes with a dry finish“. My verdict? ‘What they said’, at the time I said it was a bit citrusy and it was quite crisp. But you know I have quite a small beer describing vocab, that usually just contains phrases such as “I like this one” or “I am not sure about this” or “I don’t think I will have this again“. “Citrusy” and “Crisp” are really quite advanced for me. I just know what I like. 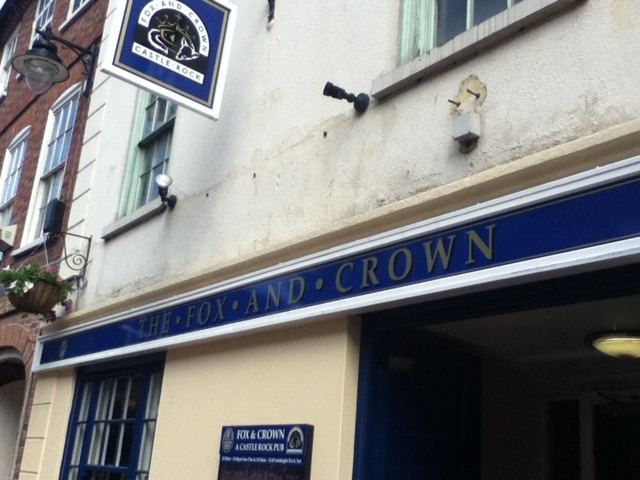 We were particularly happy to locate the Fox and Crown pub as it is one of the Castle Rock pubs and we knew that it would be offering our beloved Harvest Pale Ale. It is a pretty large spacious pub with a number of big rooms to collapse in with your pint and a paper. We decided however to chance the showers and sat outside in the courtyard, not long after we did the heavens opened. Just for a moment,we thought about heading back inside but then a tall quietly spoken Icelandic chap rolled down a large awning across the yard and we all sheltered under there watching the rain drops bounce off the tarpaulin. This turned out to be one of those unusual pub chat moments as it turned out this guy was in Newark on a 3 year piano tuning and restoration course. I don’t know if it is good or bad that I now know quite a lot about the history and current world of piano tuning in Iceland! 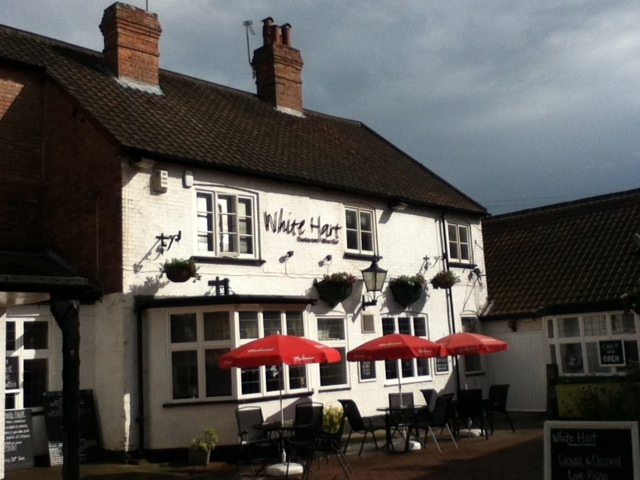 We were not sure whether to visit the White Hart as we were under the impression that it was more of a restaurant than a pub. It is both but has a large dining area. I won’t say too much about the food as I am returning here to eat, so I will tell you more about that then. As you walk in you will probably be greeted with one of two standard catchphrases from the rather nice friendly lady running the show, which are “Be careful of the step” and “Are you Dining or Just Drinking“. Seriously though you need to watch that step as if you were anything like us, you will probably have been distracted by the multitudes of chalkboards offering and advertising a pretty decent range and selection of tasty morsels. 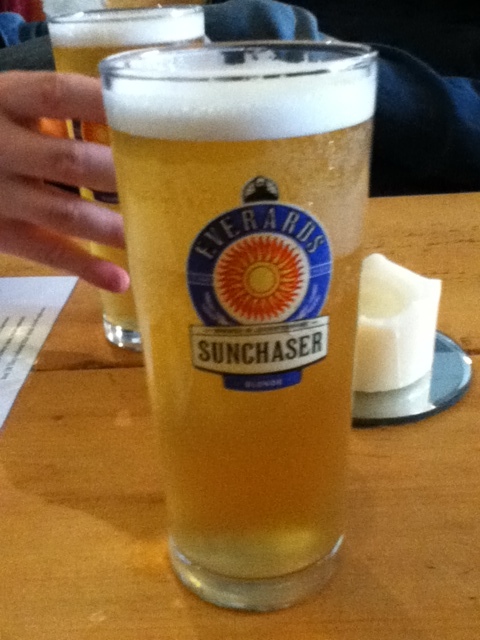 I was really very happy to find that they were serving another one of my favorite tipples which is the Sunchaser from Everards Brewery. 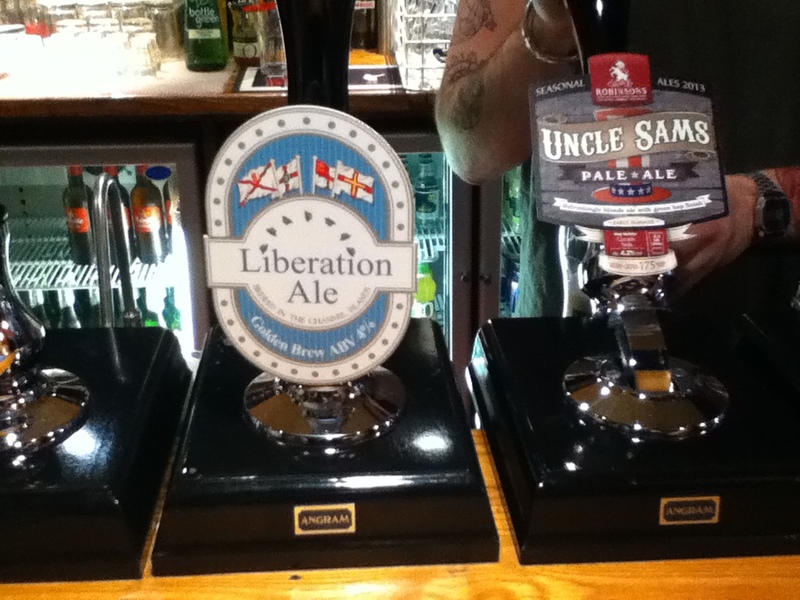 I don’t often see this beer outside of an Everards establishment so I usually take the chance to drink one when I do. I persuaded Martin that it was in his best interests to have one as well, and he seemed to be quite content in the real ale world once he started to drink his pint. Although I did say that I was going to write about the food here in a future post I should just talk about the big basket of freshly made cakes, tarts, and biscuits that they have on the corner of the bar. 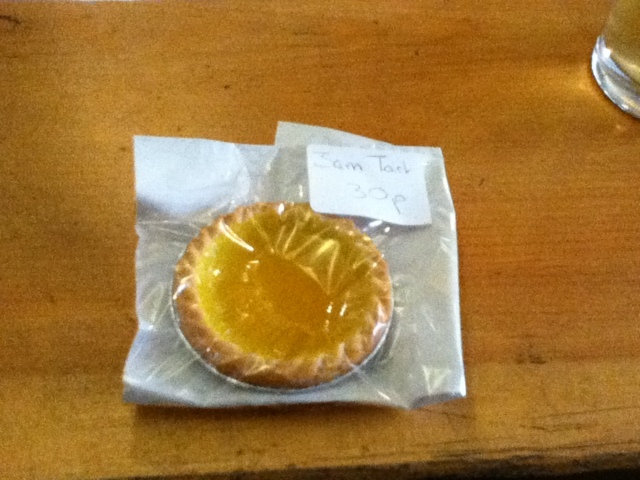 I had a Lemon Curd Jam Tart for just 30p (was very nice) and that was not the only bargain the Sunchaser was just £1.80 a pint! 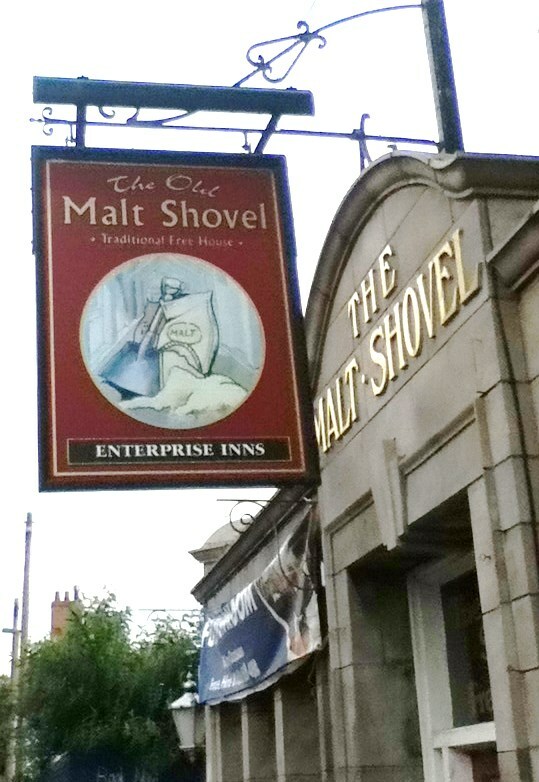 Over the road was the much more welcoming Malt Shovel of course by now we had visited 7 other pubs in Newark and so my notes and descriptions may have been suffering from the imbibition of those many quality ales we had encountered prior to entering through its doorway. They were also friendly in here and most interested in our annotated maps and notes which were passed around the bar like some sort of treasure map. There were mostly general agreements on the places we had chosen to visit and also on those that we had chosen not to visit (or in some cases walked out of). 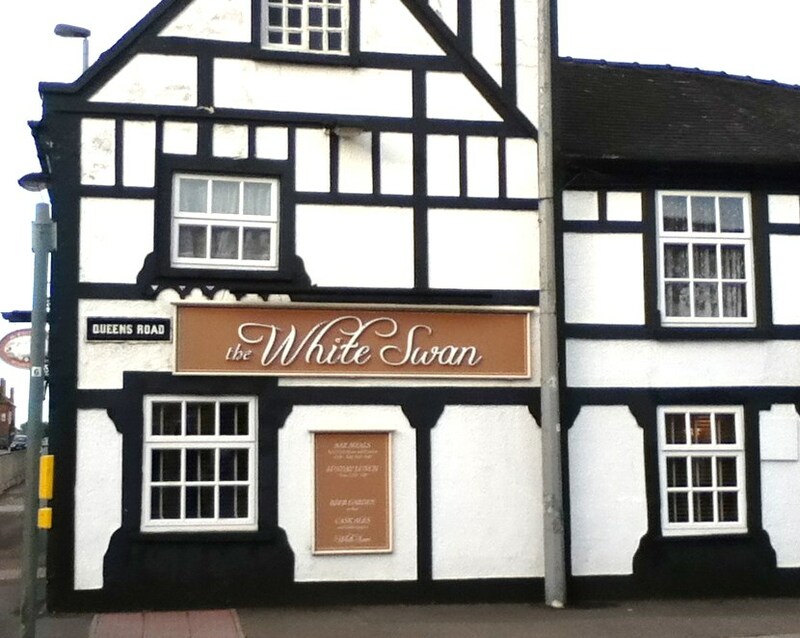 For some reason they were not too impressed that we had just been in The White Swan. 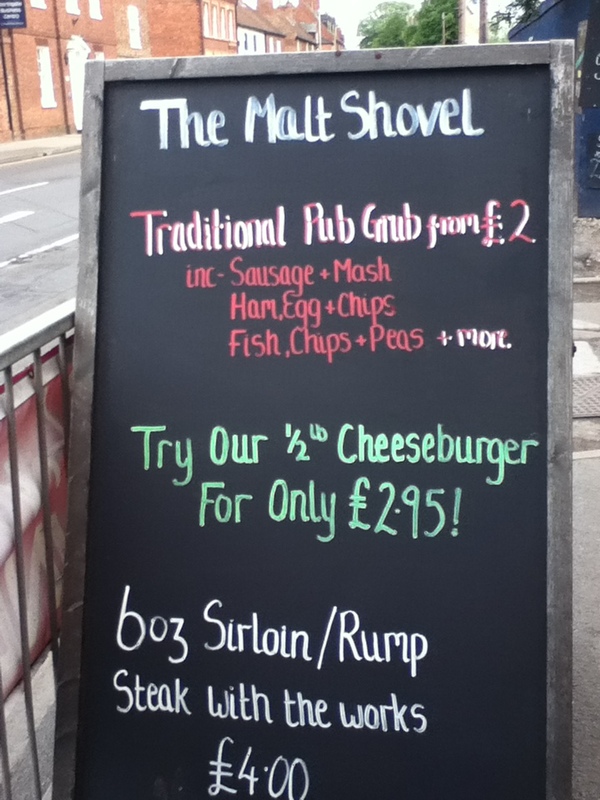 I liked this pub and would have been happy to have had one of their cheap (probably) 1/2lb Cheeseburgers for just £2.95 if I had the space in my stomach and the will to do so. We both had the Maid Marion Ale from the local Springhead Brewery in Retford they described the beer as “A pale golden beer with a fruity orange aroma and a dry peppery finish… Its refreshing flavour is from a combination of fresh oranges, coriander and exotic Grains of Paradise. These were a common ingredient in 18th century beers and used as a substitute for pepper which at the time was heavily taxed.” I just thought that it was quite nice and very drinkable. 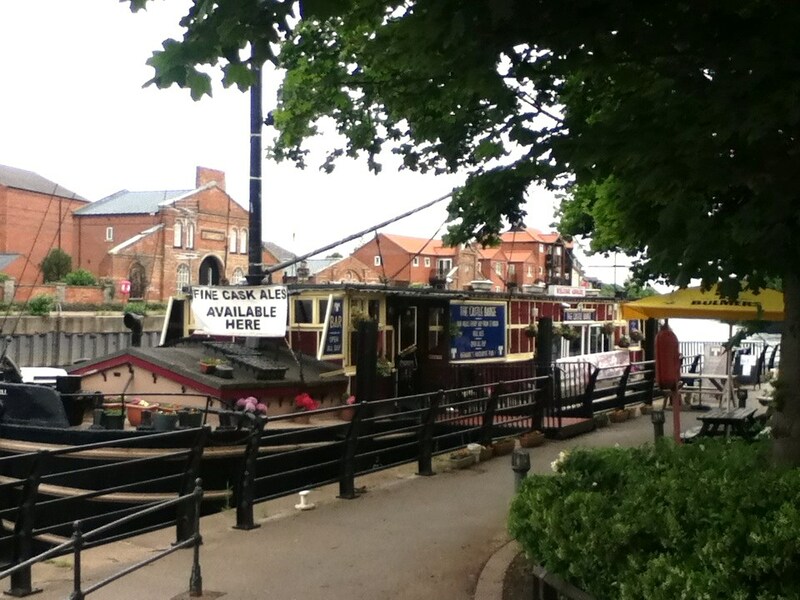 Overall a very good days wander or bimble around Newark upon Trent sampling beers at a number of their pubs. 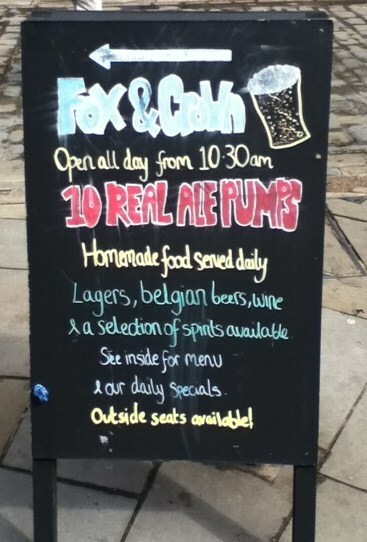 As a mild disclaimer I suppose I should note that “other pubs and beers were available“. 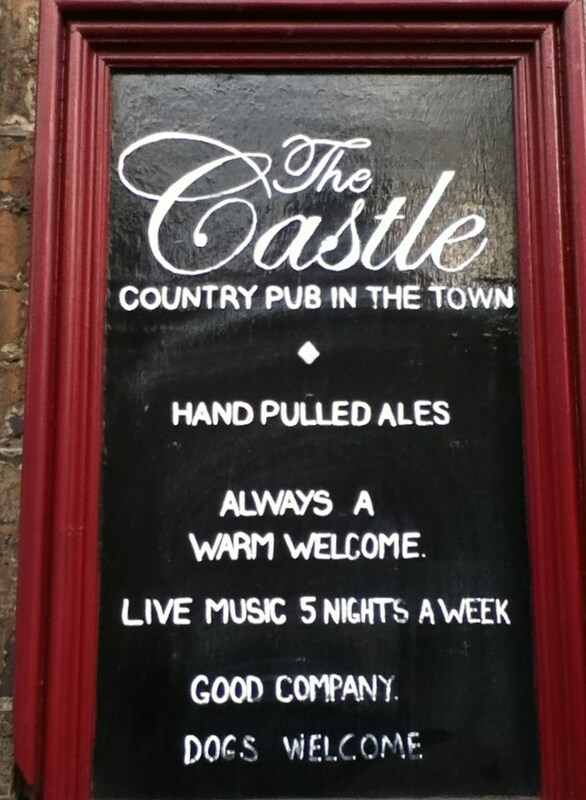 For the record we also visited, but did not partake of refreshments at a number of other pubs including; The Royal Oak, The Crown & Mitre, The Old Post Office, Sir John Ardenne, and The Queens Head. 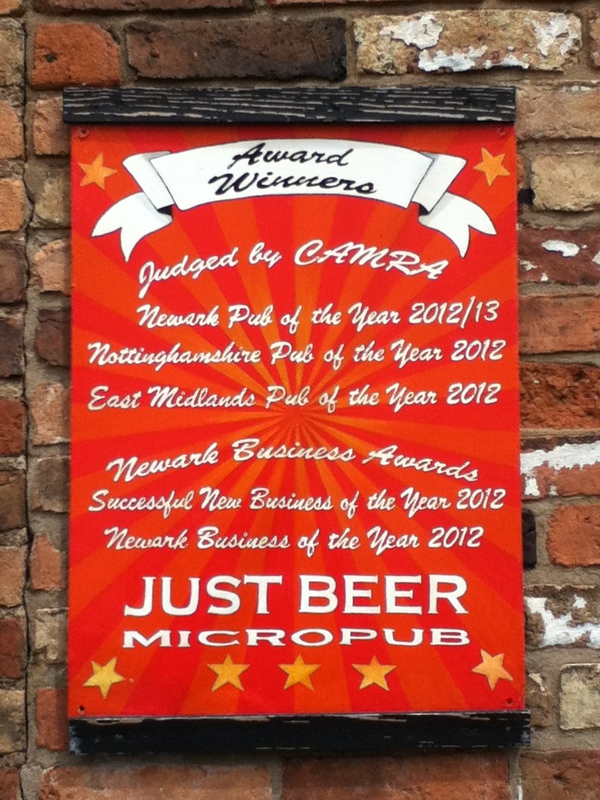 According to the regulars at the Old Malt Shovel we probably did the right thing. 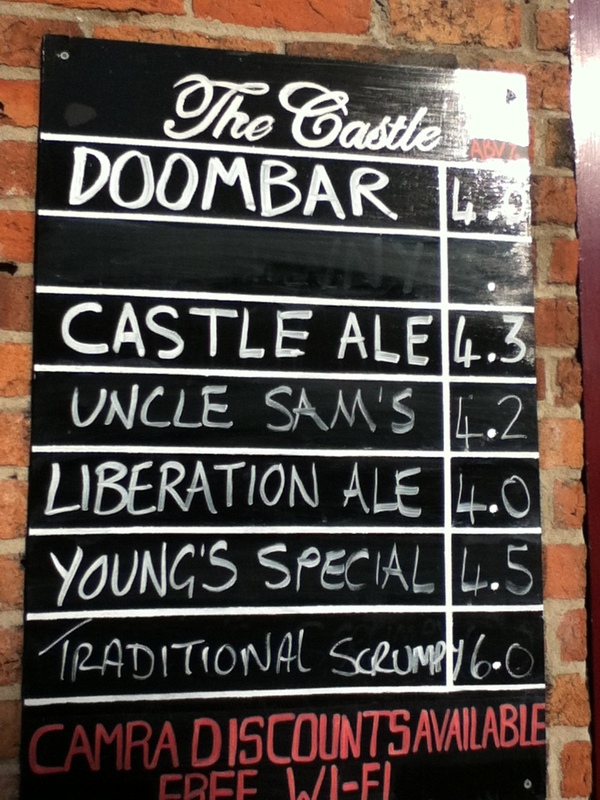 There is nothing wrong with these pubs, they just didn’t serve any beer that we fancied drinking on this day. 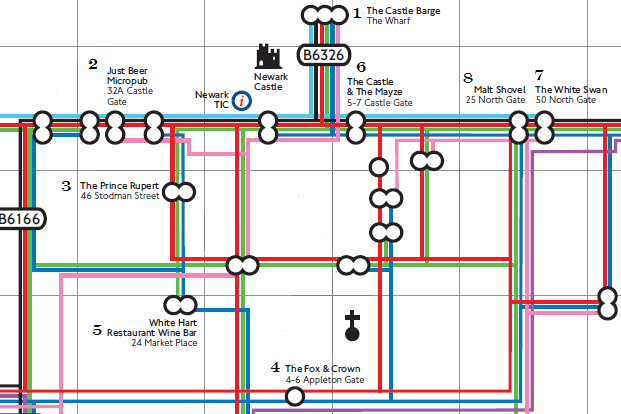 The Newark Pup Map with the pubs we visited on it. These are brilliant for navigating your way around the Town!